Active Duty Lawyer: (1987-1991) United States Air Force, Elmendorf Air Force Base, Alaska. Special Assistant U.S. Attorney prosecuting offenses in federal court. 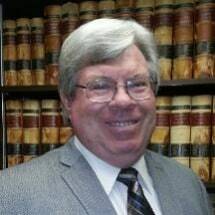 Extensive trial experience both as military prosecutor and defense lawyer including bench and jury trials. Member of Child Advocacy Committee, Assistant Chief of Military Justice, Chief of Administrative Law and Claims with experience in civil property damage, personal injury and medical malpractice actions for and against the federal government and general legal advice to the base commander. Three years named as Tax Officer helping literally thousands of military members with personal income tax, tax form preparation, collection of federal and state tax forms, distribution of tax forms throughout Alaska, research of tax issues, wills, powers of attorney, guardianships, and estate planning. Private Practice:(1992-Present) Ogden, Utah. General practice in civil and criminal activities, creditor/debtor actions and tax issues. I have represented literally hundreds of divorcing parties, consumer and commercial creditors, claimants, and defendants in all aspects from litigation to collection and general domestic relations. The taxation portion of the practice has included issues on state and federal income taxation, business planning taxation, and criminal defense representation for alleged intentional tax evasion. The estate planning aspect of the practice has included all concepts of estate planning including wills, trusts, Medicaid and probate for individuals and business owners, including tax reduction analysis as necessary. I am involved in real estate transactions, and adult criminal and juvenile representations. My activities have demanded my appearance in Utah Justice Courts, hundreds of appearances before Commissioners, virtually all Utah District Courts, and the federal court system. I have spent literally hundreds of hours in court appearances both in trials and in many other court proceedings. Currently I spend more than 65% of my time in courts and over 90% of my time doing activities leading to court appearances.